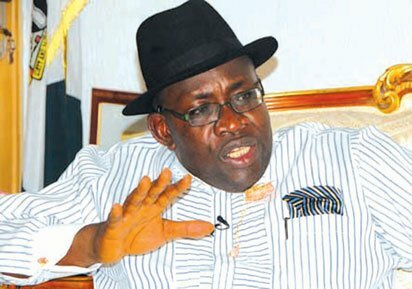 The Bayelsa state Governor, Seriake Dickson said his administration is poised towards reducing fake and unwholesome drugs in the state. Governor Dickson gave the assurances Monday in Yenagoa while declaring open the first pharmaceutical trade fare to be organized by a Government own drugs mart in Nigeria. According to the Governor, the Bayelsa state drugs distribution centre (BSDDC), was established to curb and checkmate the inflow of drugs into the state, thereby ensuring that Bayelsans get the originals of drugs from manufacturing companies directly. Also speaking, the managing director, BSDDC, Mrs. Tamara Owotari Johnson reiterated the commitment of the centre to get rid of fake drugs in state through collaboration with NAFDAC and manufacturers. Mrs. Johnson said the need for the fare was to bring manufacturers, distributors and buyers together, stressing that through the fare buyers can purchase drugs at affordable prices different from what obtains in the market and pharmacies. She called on Bayelsans to make good use of the two days fare as it is the best avenue for the purchase of drugs and other pharmaceuticals.